From one day to the next, we form plans only to find that the day seldom goes as we’d planned. Some things that we set out to do actually get done more or less as we’d planned them, but if your day is like mine, there are more unplanned things that happen in my life every day than I could ever anticipate. There are interruptions that are totally unexpected – phone calls, drop-in visits, unforeseen actions by others that totally change the trajectory of my day. It will happen to you today – bet on it. Are you content thinking that your existence here on earth is purely accidental? That when this world is all done with, that it will have all been an accident? That your children happen to be yours by accident? That whatever you achieve in life isn’t really an accomplishment, but an accident? Where is there any hope or meaning in living an accidental life? God has a much different view. We are not accidents – God knew us before we were born. The universe is not an accident, your mind is not an accident, your family and children are not accidents. Yes, we make our plans, and our days are full of what seem to be accidental encounters and events. We can believe that if we choose. But I, for one, cannot find any meaning in that, nor comfort. I choose not to life an accidental life – or at the very least, to believe that my life – and yours, are not accidents, but rather generated in the thoughts and purposes of God. PRAYER: With each person that we meet and each event that crosses our pathway, may we seek Your purpose and wisdom! In Jesus’ name, Amen. “A pastor had been on a long flight between church conferences. The first warning of the approaching problems came when the sign on the airplane flashed on: Fasten Your Seat Belts. “Then, after a while, a calm voice said, “We shall not be serving the beverages at this time as we are expecting a little turbulence. Please be sure your seat belt is fastened.”“As the pastor looked around the aircraft, it was obvious that many of the passengers were becoming apprehensive. Later, the voice on the intercom said, “We are so sorry that we are unable to serve the meal at this time. The turbulence is still ahead of us.” And then the storm broke . . .
“They heard the ominous cracks of thunder above the roar of the engines. Lightning lit up the darkening skies, and within moments that great plane was like a cork tossed around on a celestial ocean. One moment the airplane was lifted on terrific currents of air; the next, it dropped as if it were about to crash. “The pastor confessed that he shared the fear and discomfort of those around him. He said, “As I looked around the plane, I could see that nearly all the passengers were upset and alarmed. Some were praying. The future seemed ominous and many were wondering if they would make it through the storm. “Then, I saw a little girl. She had tucked her feet beneath her as she sat on her seat; she was reading a book and everything within her small world was calm and orderly. “Sometimes she closed her eyes, then she would read again; then she would straighten her legs, but worry and fear were not in her world. “When the plane was being buffeted by the terrible storm when it lurched this way and that, as it rose and fell with frightening severity, when all the adults were scared half to death, that marvelous child was completely composed and unafraid.” The minister could hardly believe his eyes. “It was not surprising therefore, that when the plane finally reached its destination and all the passengers were hurrying to disembark, our pastor lingered to speak to the girl whom he had watched for such a long time. Having commented about the storm and the behavior of the plane, he asked why she had not been afraid. “There are many kinds of storms that buffet us. Physical, mental, financial, domestic, and many other storms can easily and quickly darken our skies and throw our plane into apparently uncontrollable movement. We have all known such times, and let us be honest and confess, it is much easier to be at rest when our feet are on the ground than when we are being tossed about a darkened sky. PRAYER: Lord, it is a comfort to know that You are taking us home, and that You will see to it that we arrive safely! In Jesus’ name, Amen. NOTE: Galen is on vacation this week and may be unable to respond to email. From Don Everts’ God In the Flesh: “We call you, Lord, Lord’ and do not do what you tell us because you tell us to do such strange things. “Consider a few of his teachings there in Luke 6: the poor are lucky. The rich are unfortunate. Congratulations to those who mourn today. Give to everyone who begs from you. Bless those who curse you. Do for others what you would want them to do for you…And that’s just a sampling. “Why do we not do what Jesus tells us? Because (when we’re perfectly honest) our common sense makes more sense to us than the words of Jesus. His teachings may be well intentioned and inspirational, but it doesn’t seem like they would really hold in everyday life. “Blessed are you who are poor” sounds sort of nice and spiritual, but when it comes right down to it, it’s really the rich whom we think are lucky. ‘Give to everyone who begs from you’ is inspirational talk, but it’s overly simplistic and doesn’t really work on the streets of our broken cities. ‘Do to others as you would have them do to you’ is admirable sounding, but when I’m really honest about what I want done to me (lots of gifts, surprise parties, regular encouragement, care about my needs, a ready ear to listen to me), I realize what an impossibly high standard of love this is. Galen’s Thoughts: We must ultimately decide whether we will put more trust in our own common sense, or in the words of Jesus. Why is it that we think we’re smarter and know better than He does? How long will we call him, “Lord, Lord” and not do what He says? PRAYER: In our pride, Lord, we trust our own common sense and not Your words. Help us to understand that we can’t call you Lord, and not do what you say. In Jesus’ name, Amen. DayBreaks for 7/26/18 – What a Mystery! DayBreaks for 7/26/18: What a Mystery! Immanuel = God with us. In Revelation 4:8, we have a description of the worship of the angels: Holy, holy, holy is the Lord God the Almighty, who was and is and is to come. At one level, theologically and intellectually we have a very quick answer to that question: yes, it is Yahweh who lives within us. 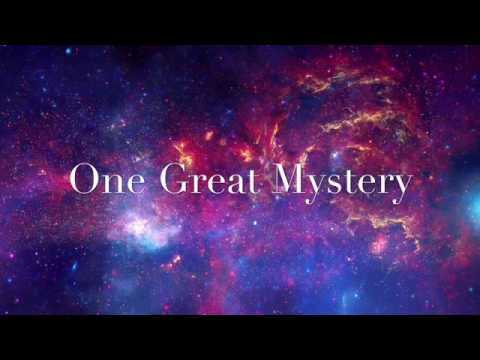 And yet…and yet…have we really grasped that the One who is worshipped by untold myriads of angels and the four living creatures day and night, who sing without ceasing to the worship and glory and praise of Yahweh – have we grasped that this is the One who lives in me? In you? How can it possibly be???? “That’s a mystery,” wrote Everts. What difference would there be in how we live if we were able to really grasp Who it is that lives inside us? What if we really did die to ourselves so that Jesus could live HIS life through us? PRAYER: We can scarcely believe your promises to us, to never leave us, to abide in us. These are great promises and we feel and act weak and defeated at the first hint of temptation. May we become possessed by the knowledge of your life within us, empowering us, leading and directing us, and giving us victory over sin. May we get ourselves out of the way by dying to ourselves so that You may live Your perfect life through us. In Jesus’ name, Amen. DayBreaks for 7/25/18 – What Will He Call You? DayBreaks for 7/25/18: What Will He Call You? Two brothers, laboring together under the sun, the glare of that orb dancing off the surface of the lake nearly blinds them as they pull in their nets. The sweat is beaded on their brow, their clothes smell of fish, their tunics are soaked with perspiration. The muscles in their arms are corded and well defined from years of physical labor, casting and hauling nets over and over and over. All their lives they only thought they’d be fishermen. They worked with their father as was often the case in that time, and he, too, was a fisherman. It was the company business, and their hopes were to continue to live simply and make a decent living to feed their growing families. They were most likely very simple men who were content with a simple home and family, a boat that didn’t leak and nets that were filled with shiny, writhing fish. They were the sons of Zebedee, better known as John and James. Good, solid citizens, good fathers, good workers. Then, one day, Jesus was walking along the lake and called Peter and Andrew to be disciples. Then he saw this second pair of brothers and he invited them to join him, too. Jesus must like fishermen and the kind of hearts that they have. After all, he wanted people who could fish for men and women. Revelation 2:17 (NASB) says He who has an ear, let him hear what the Spirit says to the churches. To him who overcomes, to him I will give some of the hidden manna, and I will give him a white stone, and a new name written on the stone which no one knows but he who receives it. What’s the point? Jesus sees all of us – past all the external trappings, the family names, the things we do – and sees who we really are. And some day, we’ll know the name that He has for us. PRAYER: It is good to remember, Lord, that you see us as we are, not as we wish we were or hope to someday be like! Thank You that You see us as completed beings of glory rather than simply creatures who have cast Your glory aside. We wait, Lord, with anticipation, to know our new names! In Jesus’ name, Amen. At our church leadership meeting this past Sunday, we were discussing ways that we could become even more involved with our community. It just so happens that on Friday summer nights in Cloverdale, that there are two things that are designed to attract people from the community (and others!) to get together. First is “Friday Night Live” – a series of musical guests that are brought into town by the Cloverdale Arts Alliance – that put on a free concert in the city plaza for all who want to come and listen. Some of the acts are great – others just don’t do much for me at all. The second activity (located right next to the plaza) is a Friday night farmer’s market where one can examine and buy crafts, vegetables, fruits and other locally grown produce. When I heard that, I couldn’t help it – I had a swirl of emotions run through me. I snickered, and thought, “Yep, that’s just the way it is here!” while shaking my head. Then, I got angry and frustrated that we aren’t permitted by their rules to be there. I thought, “I’ll bet we could get some Christian legal defense fund to sue for discrimination. After all, if they’ll let non-religious non-profits be present (like 4H and FFA), they can’t keep us out!” (Then I thought, yeah, but that probably wouldn’t set a very loving example for the community. Strange, isn’t it? The apostle John had experienced this first hand. And he came to a conclusion that was as true in his day as it is in ours: (1 John 5:19, NIV) – We know that we are children of God, and that the whole world is under the control of the evil one. Why does the world hate to hear Jesus’ words, or even to hear about him? Because it is under the control of the evil one. But, as John noted, “we know that we are children of God…” Even though the world doesn’t know it, it is still true: we know we are children of God because of the testimony of the Spirit to the truth Jesus spoke. But we’d better not expect the world to know it or recognize it or we’ll be sorely disappointed. That is, I suppose, the way it must be. The good news is that it is not just we ourselves, but God who knows who His children are – and God never forgets. If Jesus was anathema to the world, we couldn’t be in better company! PRAYER: Lord, sometimes I get angry and bitter at how we as Your children are treated in this world, and I feel like I sometimes want to lash out in response. Help us to remember that we are Your children – and to act like it. In Jesus’ name, Amen.